Gorgeous floor plan of S&I Residential that sits on over sized lot. This custom quality home offers tons of amenities like plantation shutters, up-lights, wired for sound system in living/ back patio and security system. Gorgeous tile floors & dramatic ceilings with arches. 3-way split bedroom plan. Spacious bedrooms w/ ample closet space. Conveniently located home office. 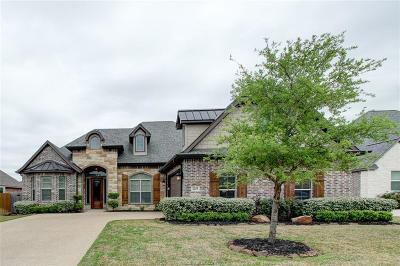 Chef's delight kitchen w/double ovens, 6 burner cook top, pot filler for convenience, huge walk in pantry, above cabinets and below cabinets lighting on custom quality cabinetry & granite countertops. Formal dining with gorgeous ceiling and Bar corner with wine chiller for entertaining. Huge master bedroom has wood floors, double pop ceiling & rope lighting is a wonderful retreat after day's work. Master bath has double vanities, walk in shower with double shower heads, jetted tub and oversize master closet. Huge back porch w/dramatic cathedral ceiling and out door kitchen with roll down screens. A must see!! !